Now that it is spring, we’re all itching to spend time outdoors and of course, one of the best places to spend time at this time of year is in our own yards. At this time of year, we’re all desperate for some colour. If your garden doesn’t automatically have flowers peeking out of the ground starting in spring, this is the year to consider perennial flowers. So, swap out the winter tools at the front of your garage located on the hooks of your slatwall organization system and replace them with the typical garden tools such as hoes, spades, hand trowel, wheelbarrow, lawnmower and more. Yes, even the heavy lawnmower will sit safely on your StoreWALL slatwall organization camlock hooks. Next, let’s consider the perennial flower options for your garden. These gorgeous blooms are perennial flowers which are very popular and long lasting. In fact, these flowers will return annually for up to over 100 years. 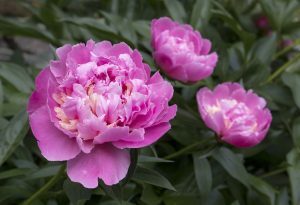 You can create a colourful and beautiful garden with some peonies in it. Find a full sun area with well-drained soil for these flowers next to other flowers and away from trees or bushes. While these flowers are hardy, they tend to thrive best when the seed is planted in the fall during the months of late September and October. In the spring, it’s important to prepare the soil and mark out a spot for these flowers. If your soil is heavy or sandy, now is the time to mix in a generous amount of compost to prepare the soil for adequate drainage. Typical peony colours include white, pink, rose and red so start planning the pairing or combination of flower colours in the garden bed. 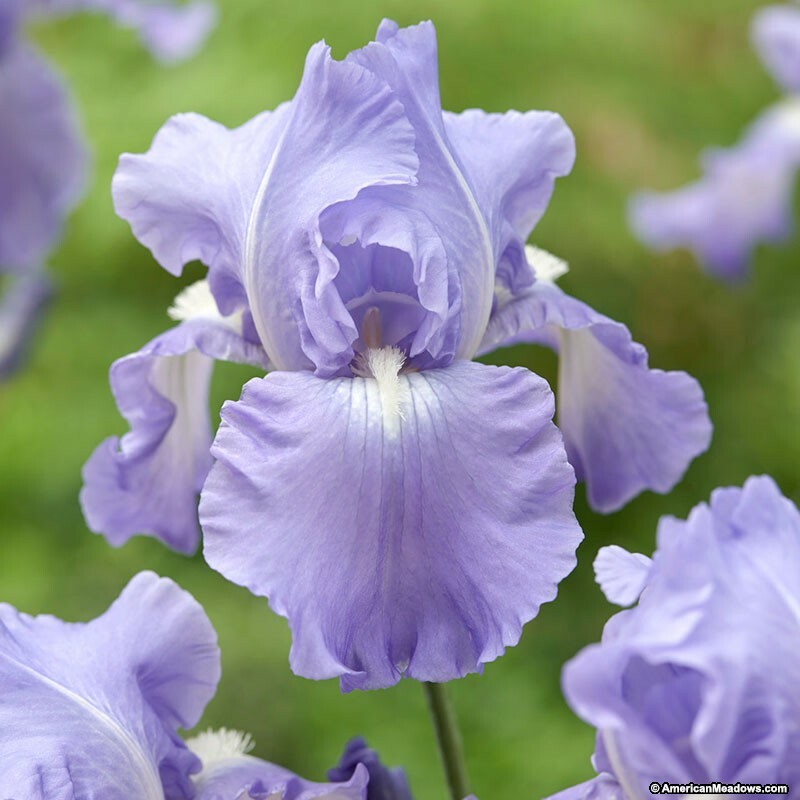 The delicate and divine look of irises make them a desired flower among gardeners. The beautiful look of irises fool people into underestimating the hardy, reliable and easy to grow nature of these flowers. What makes these flowers so distinctive is their petal formation with lower petals called “falls” and upper petals which typically stand upwards called “standards”. There are also bearded irises which have fuzzy hairs at the top of the falls and beardless irises without the fuzzy hairs. These flowers are so attractive they will bring butterflies and hummingbirds to the garden. For the popular bearded iris bulb, the best time of the year to plant them here in Canada is late July and August so that these flowers have time to grow strong enough roots to weather the winter months. The typical iris colours include: purple, blue, red, peach, yellow, orange, rose, black and white including some with both purple and white colours in the same flower. The hydrangea shrubs offer the most beautiful flowers of any shrub. 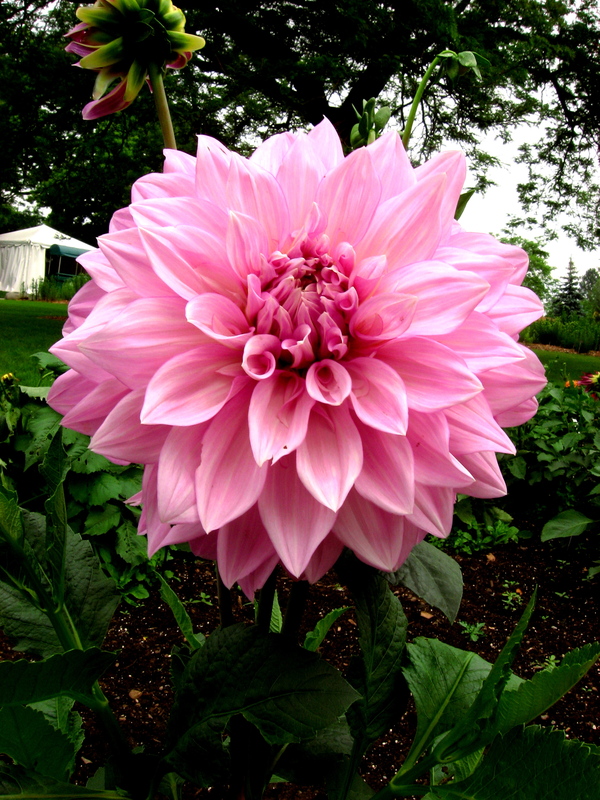 With one of the largest flower heads, this classic floral adds traditional charm to any garden. And, the amazing array of flower colours include clear blues, vibrant pinks, frosty whites, lavender, and rose which can all appear on the same bush at the same time. 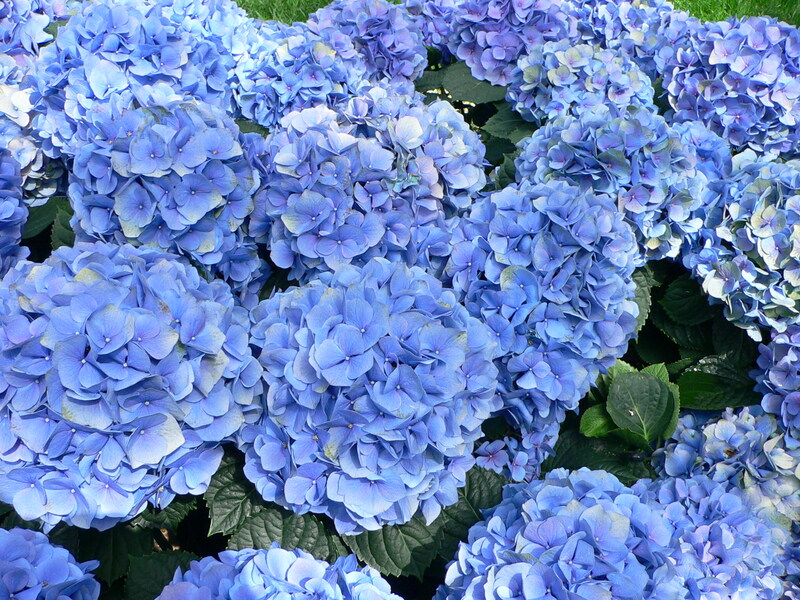 Because hydrangeas can survive in a variety of soil conditions, the flower colours can also be changed on the same bush depending on the pH achieved in the soil for each shrub. In general, blue flowers will blossom well in acidic soil while pinks or reds typically blossom well in alkaline or neutral soil. These shrubs always appreciate extra compost for proper drainage. And, they can be planted in either spring or fall. These tuberous root perennial flowers grow from 12 inches up to 6 feet tall with blooms ranging from 2 inch lollipop size to a whopping 10 inch dinner plate blossom. They tend to do better in cooler North American climates. They thrive best in sunny and well-drained soils so use plenty of compost for harder or sandy soil areas. They remain in bloom until the first frost so dahlias keep the garden in bloom for months and well into late fall. In the fall, the tubers need to be dug up, washed off and stored on newspaper or in well ventilated storage such as milk crates. The storage location needs to be a cool place such as the basement or the back of the garage. Otherwise, you can treat the dahlias like annuals by purchasing tubers each spring. Daylilies earned their name from their one day blossom of each flower. Over several weeks, a clump of daylilies will blossom 200 – 400 times leaving the clump looking fabulous for this period of time. 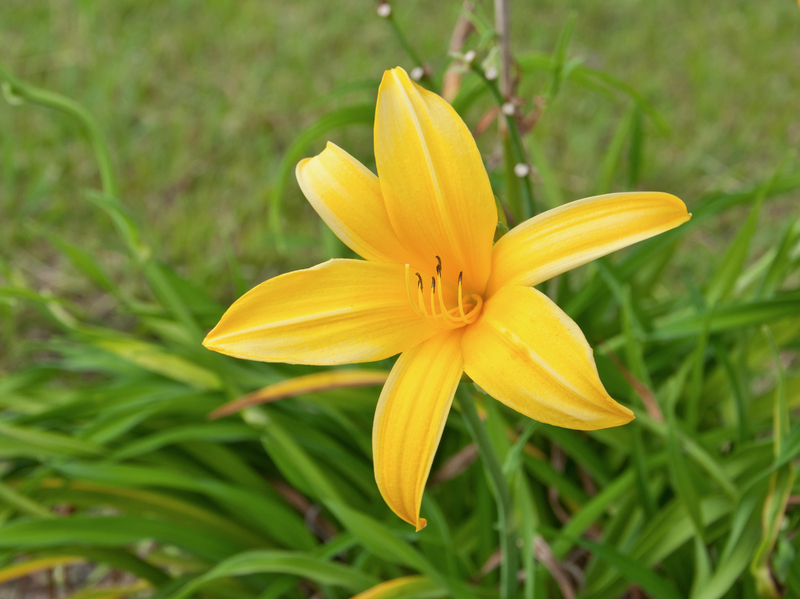 While the best time to plant day lilies is early spring or early fall, these flowers are so hardy they can even be transplanted in summer but they may not bloom that season. To help the blossoms do better, add compost to your sandy or solid soils to improve the ground and water drainage. However, if necessary, the daylily is drought resistant and will grow on the side of hill and other difficult to cultivate areas. Originally from Asia, the many hybrids which have developed over the years have led to numerous colours combinations which are too many to name with only pure white and pure blue missing from the range of colours possible. If you’re looking for ways to manage your gardening tools and supplies, consider a garage renovation including compost bins either in the garage or backyard areas to recycle organic wastes while beautifying the landscape of your home. In the upcoming blog, we’ll continue to discuss the remaining 5 perennials that you might want to consider for your home and garden.